Last year on my Instagram Stories I shared how to make chocolate covered strawberries, and y'all went BONKERS over it! Is it just me or does nothing say Valentine's Day more than chocolate covered strawberries? They are not only a classic V-Day treat, that also one of Bubba's favorites of all time. But, let's be straight here, if you are buying them from a store you're basically dipping into your emergency fund to do so. They can be so dang expensive! $3+ for a tiny strawberry? I think not. All you need are 2 ingredients and a few minutes to make your own for a FRACTION of the cost. 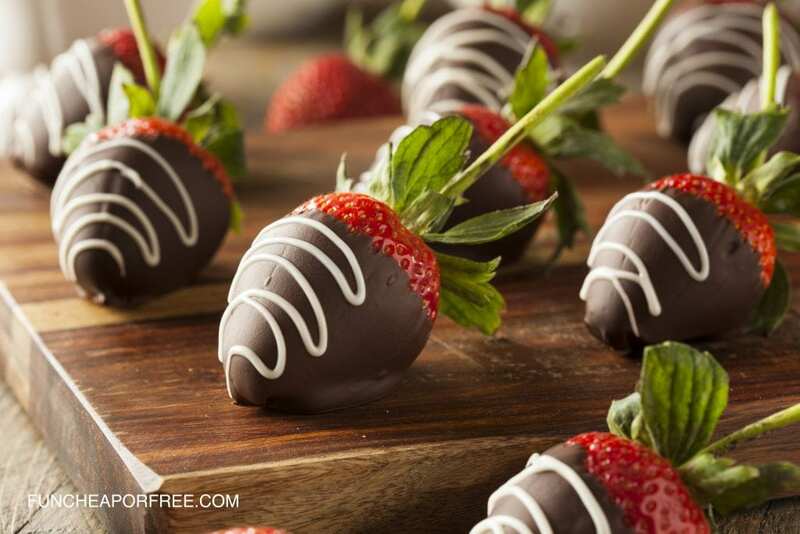 All you need to make your chocolate covered strawberries are a handful of ingredients that you can find at any grocery store and a little bit of time, which makes it the perfect project for anyone looking for some last minute ideas! Optional toppings: White chocolate, crushed nuts, sprinkles, etc. Clean and dry your berries. 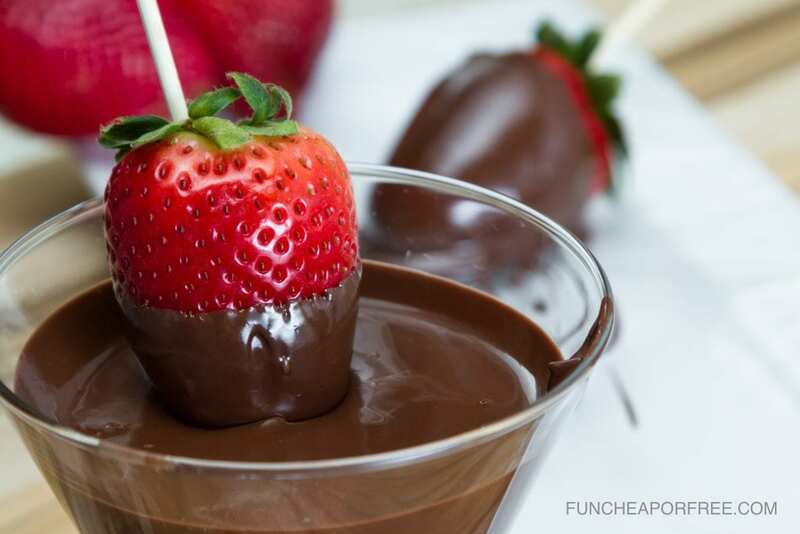 The chocolate will coat the strawberry better if it is dry. Tip: the colder the strawberry, the better. Melt the chocolate in a microwave-safe bowl for 60 seconds. Stir. Continue microwaving in 15 -20 second increments, stirring each time, until completely melted. Be careful not to let it burn. 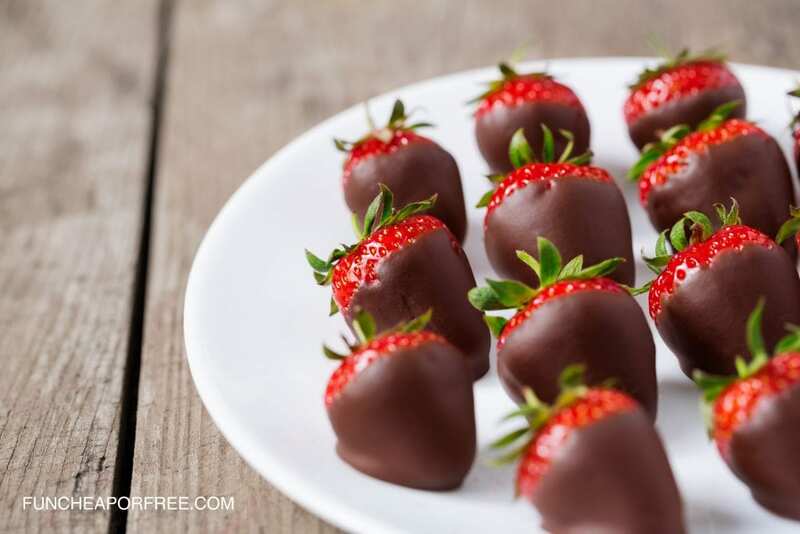 Hold the leafy top of the strawberry or use a bamboo skewer to dip it in the chocolate and roll it to coat completely. Roll in, or sprinkle on, optional toppings before the chocolate hardens. Drizzle white chocolate on top for added pizzaz. Place on cookie sheet and chill the coated strawberries in the fridge for 20 minutes. 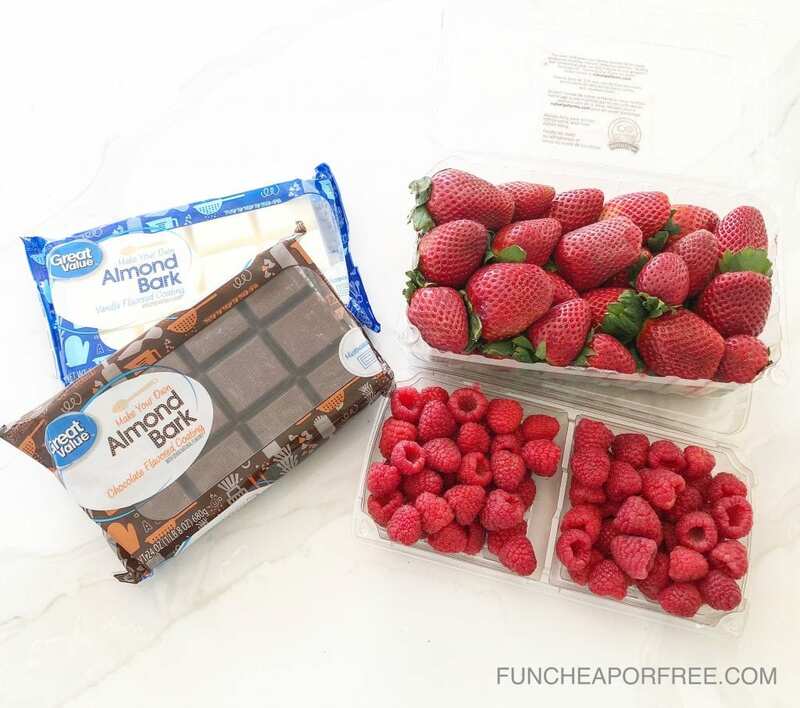 Almond Bark or any other melting chocolate but Almond Bark is my favorite! Optional toppings: White chocolate crushed nuts, sprinkles, etc. A fabulous Valentine's Day (or any ‘ole day) treat that won't break your budget. Plus, since they are made with strawberries let's just go ahead and call them healthy. I LOVE this! I’ve been craving chocolate covered strawberries ever since you posted this! 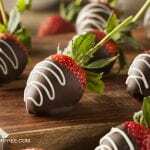 Awesome tips for chocolate strawberries!! I’ll be making those! Have these saved for my hubby birthday! Tried them out on a random Sunday and they were a hit! Love these frugal tips!